Taylor and Ron from SolvedByData recently wrote in with some new Reseller and VPS discounts for the community. 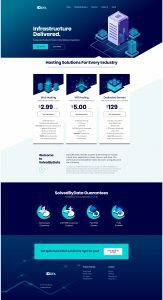 They are offering SSD powered Reseller Hosting accounts from $15/year, and a 3GB SSD VPS for $19/year! As always we’re interested in hearing your feedback so feel free to comment in the comments section below! SolvedByData is overselling their nodes, I bought 60GB and using only 20GB but shared volume says it’s 100% in use!!! So I’m absolutely out of space, eventually, my services crashed. Now need to move to another hosting company. Very upset. This provider is very unreliable. Is this have the option to backup and restore cPanel accounts for resellers? do you allow legal adult? Tried one of their VPSs the last go-around. Couldn’t run a DNS server since they are blackholing port 53 UDP and they can’t manage to open it. And then they refuse to give a refund because I am outside their 3 day money refund window after we had uptime issues on the first server they put us on. I asked if they have a CentOS minimal image and that ticket alone took the three days they offer a refund.